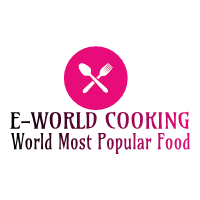 Roast Chicken Recipe ~ E-World Cooking-The World Most Popular Food. Today we are going to make an easy Roast Chicken recipe, so don't forget to try this tasty and easy dish. Now we shall see how to make the traditional way of easy roast chicken or chicken perelan.you may call it anyway. Curry leaves-15 to 20 nos. To prepare the Roast Chicken or easy roast chicken I have taken 2 big finely chopped onion, you may take 3 medium sized if you don’t have big once for this chicken roast recipe. Even if the onions quantity increases, it’s ok. Because it gives the good gravy. One tomato, a medium piece of ginger, 4 garlic cloves and some split green chilies. I have taken around 5.or 6 you may change quantity according to your spice taste. The ginger and garlic should be crushed well. Then we need Kashmiri red chili powder, turmeric powder, coriander leaves, and garam masala. The most important ingredient is 1 cup thick Coconut milk. I have taken one whole coconut and grinded with 3/4 cup water and extracted its milk. For roast chicken now we need 500 gm. Chicken, here I have used breast pieces. You can even use chicken with bones. First, place a kadai and add 3/4 tbsp. Kashmiri red chili powder and 1/2 tbsp. Chili powder. You may adjust the spice according to your taste. Then we shall add 1 tsp. Coriander powder, 1/4 tsp. turmeric powder,1/4 tsp. of garam masala powder, nothing should exceed much. Add half of the thick coconut milk and mix the masala well. By adding little milk we can get away with lumps. If Bachelors find it difficult to get coconuts to extract milk, they can use one glass of water here. Now we shall add rest of the milk and mix it well. For preparing roast chicken you can even use tin coconut milk or coconut powder milk too. Now our masala has mixed and added the little salt as to taste. Always add salt as you required don't exceed and catches into the chicken then we can’t adjust the saltiness in it. Now add our well-washed medium cut chicken pieces so that it would be easy for kids to have. Now I have strained all the water in this. I mixed it in vinegar and salt, washed and cleaned very well. Add the chicken into the masala and mix it well. You do not have to add any extra water, it will come from the chicken. We shall cool this in this coconut milk on medium flame. The chicken we get here cooks very fast. If it takes a longer time at your place, cooks accordingly. I shall close this with a lid and cook it. Chicken is being cooked in another pan, by then we shall cook the roast chicken masala in another pan. In another pan, we shall make the masala. Add 2 tbsp. Cooking oil(you may use Vegetable oil or Coconut oil) in it, let this heat on medium flame. Add some chopped coconut bit, this is optional. It gives a good flavor. If you don’t want to add it please avoid. Sauté it for a while. Add curry leaves and stir it on medium flame, it gives a magical flavor & it changes the smell suddenly. Now we shall add the crushed ginger garlic paste, sauté it till the raw smell goes. let's stir this till all the raw smell goes, then we shall add remaining all the ingredients. After few times raw smell has gone then add chopped onion and green chilies as your spice level. The chicken dish is always good when they are a bit spicy. Add the little salt. Remember we have already added salt to the chicken also. This is for the masala. Sauté this well on medium flame till its turn to golden color. By then our chicken would also be cooked. Remember to stir the chicken too once in a while so that is doesn’t stick to the bottom. Now we have lots of water from the chicken let it cook well. If you feel it should cook more than add some hot water and cook. Let the onion brown by then. Our onion has almost done now add chopped tomatoes, stir this well till the tomatoes are cooked Well. Now keep this aside and check our chicken. Cook the chicken till all the liquid is dried and then we shall add it to the onion masala. Now the chicken should be roasted until it turns brown in color. You may check the spice at this stage and adjust accordingly. Stir well till the chicken and onion masala mixed well. If required use some hot water .we have to sauté this for a while on medium flame. If you fell oil is less, you may add some oil. Never sauté it high flame. 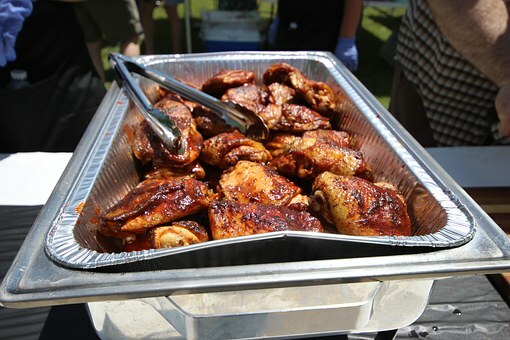 Kids always like boneless chicken but chicken with bone would taste better. This should be roasted well only then that correct taste will be felt. Stir it on low flame, be careful the chicken should not break off while roasting. Our chicken is almost roasted now add 1/4 tsp. garam masala and 1/2 tsp. pepper powder, mix it well. You can shake the pan often so that pieces don’t break. The pieces might break off when we use the spoon. Our chicken roast reaches the final stage & check the salt, add salt if necessary. Now easy chicken roast is ready. If we over roast chicken pieces will become dry so it’s better to be a bit juicy. Lastly, add some fresh curry leaves, lets closed for 5 minutes and then serve hot. Taste is awesome, all of you please try this easy roast chicken and share your valuable feedback.